20 Exhilarating Destinations to Explore In India with Your Girl-Gang! If you are of the opinion that “Why should boys have all the fun?” This list of 12 places will make you pack your bags and shout out loud for your all-girl gang. In case you are not of this opinion, then these destinations will definitely tempt you to explore them as soon as possible. Brace yourself to do the things that make you the happiest, with your good old girl gang. Wondering How? Here’s is a list of 12 amazing destinations that are a must for you to explore. Shimla: Life on the rocks! Take a break from your regular responsibilities of home and office; relax with your girl besties amidst the serenity of beautiful mountains in Shimla. With trekking, cycling, ice skating and many other thrilling activities to do around, you are in for a real treat! The beautiful scenic atmosphere of Shimla will rejuvenate you and the natural wonders of the place will help you kick away all the stress. Ladakh, the ultimate destination that you and your all-girl gang should not miss out! Crazy bike rides in the valleys of Himalayas along with activities like yak safari, kayaking, cycling, trekking, camel safari and skiing will escalate your adventure level beyond expectation making it a must visit place. If you and your girl gang is one of those who get driven by adrenaline rush; Rishikesh is the best place you could be in. Adventures like river rafting in white waters, kayaking, bungee jumping and canyoning will surely promise to make the trip one of the best for you. Rishikesh has some awe-struck places to visit which can give your trip the basic trip goals, it can enlighten you with the best of Camping experiences and much more! Things to do: Most exciting things to do on a Rishikesh trip! Places to visit: Most exhilarating places to visit in Rishikesh! Manali: Ice it, spice it! Wondering what else to do other than normal adventure activities? Manali is just the place for you! It is famous for adventure activities like ice trekking, skiing, rafting, rappelling, rock climbing and paragliding. Enough to cue your girl gang with thrilling experience. A visit to the paradise of India can change the dimensions of your travel experience all at once! Especially a trip to Kashmir can awaken both an adventurer and a traveller within you. With crazy number of places that you can visit in Kashmir there are also equally exciting things that you can do there. Adventures like snow skiing, road trips, paragliding, hang gliding and hot air ballooning will make you ‘get-up-and-go’ right away! This amazing hill station in the Himalayas can be described as heaven on earth; a paradise for all the nature lovers! This land locked state should definitely be on your bucket list if you have a thing for hill stations and exclusive adventure activities. From trekking to river rafting to yak safari, name an activity and its all there for you in Sikkim. For an all-girl gang there is nothing more exciting than showing off their crazy selfies at the hill top, sounds exciting, isn’t it? At an elevation of 8,586m, the imposing Kanchenjunga Mountain will mesmerize your girl gang. While you are busy enjoying some really fantastic views of the Kanchenjunga Mountain also give yourself the best adrenaline rush trying out activities like paragliding, jeep safari, ice trekking and kayaking in Darjeeling. 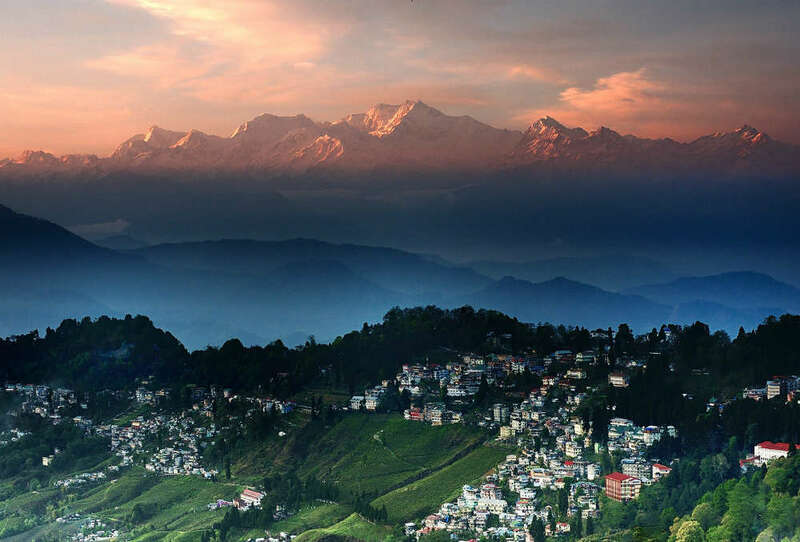 You and your girl gang will surely enjoy the beautiful places to visit and activities to do in Darjeeling. A hill station that can sooth you and be a stress buster for your entire girl gang. 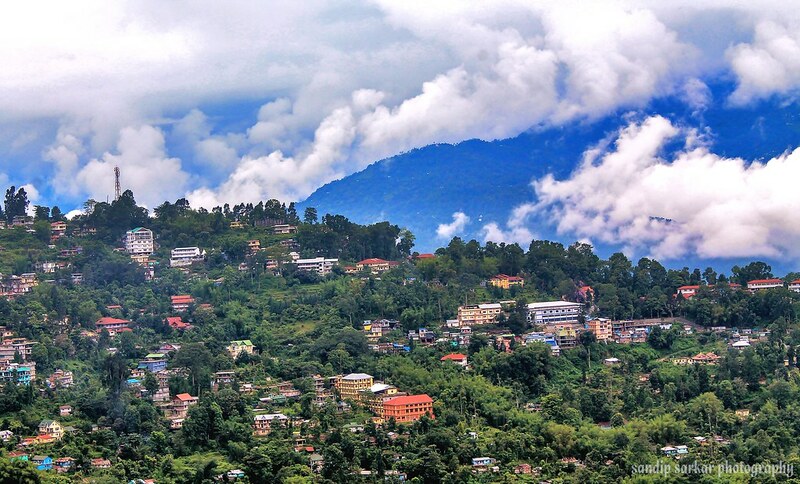 Kalimpong is one of those destinations that will give you the blend of both calm and craze together. Along with discovering places and experiencing the surreal beauty of this destination with your girl gang; you can also take the adventurer in you for a joy ride with activities like hiking, paragliding, river rafting and trekking. The indigenous home to the Royal Bengal Tigers, Sunderbans will not only bring out the adventurer in you and your girl pals, but will also enthral you to the fullest with its mystic beauty. Tiger spotting in this national park is the most unique and unmatched experience in the whole world; alongside this, bird watching, crocodile spotting and boat safari also is a must for the wildlife lover in you. Gone are those days when people thought women are meant to stay at home. Today it’s all about exploring the unseen and competing for the best. When you ask for the best, you get the best. Pull up your socks for some mind boggling adventure activities like scuba diving, snorkelling, kayak tours, water sports that will make your travel experience at Andaman one of the best. You can also visit various beautiful places in Andaman like Cellular Jail, Elephant beach, Kaala Pathar Beach and many more. Moreover, skiing india campaign under the guidence of professional trainers can be carried out without any hurdles. Dandeli: The adventure boot camp! Undoubtedly some of the best experiences of your trips are when you are with your friends. If these trips make you explore something completely new, then the experience reaches beyond the level of delight. Live your life to the fullest while you make your way through the most exciting part of Dandeli trip- River Rafting! Not just that, rappelling, trekking, coracle ride and outdoor camping will make this the best trip of your life. Don’t forget to check out some of the amazing places to visit around Bangalore. For those of you, who love sand and the sea and also want to experience the tranquillity of the beach; no other beach destination can beat the allurement of Gokarna. Activities like beach trekking, boating, dolphin spotting and different kinds of water sports is a great and exciting plan for a weekend trip with your female friends. Adding to the already existing adventure of packing off bags with all-girls, here is a place that can never disappoint you over a trip. Shimoga is considered one of the best places in Karnataka for sightseeing and experiencing the beauty of nature. Places like Jog falls, Tirthahalli, Mandagadde Bird Sanctuary and activities like boating, lion and tiger safari, Hiking, camping, caracoling will make your trip an exuberant experience. Here you can out places to visit in Coorg. If you are a girl gang that is amused by beauty of nature, Amboli is just the heaven you are in search off. Carved by amazing landscapes, it is considered to be one of the best eco hot-spots in India. With activities like angling, night trekking and camping you are definite to boost the experience of your trip. Pondicherry : Something for everyone! What better place than Pondicherry for an all- girl gang that loves food, beaches and shopping? This calm and composed French style city is full of exciting activities. From treating your taste buds with multiple cuisines and satisfying your shopping cravings, Pondicherry also known as Puducherry is a one stop destination to explore with your girl besties! Udaipur: Paint the world red! This beautiful city of Udaipur is one of the most exotic and rich cultural destinations of India. The vibrant colours and the eclectic range of shopping adds to the charm of the city even more. Romancing the royal majesty and serenity of the lake city, you will definitely want to come back to Udaipur over and over again. Whether or not an animal lover, Ranthambore is definitely one of the destinations you need to explore with your all-girl gang. Following its great royal legacy, Ranthambore is one of the idol wildlife destinations in the country. With crazy safari rides, enthralling sightseeing experiences and hot air ballooning this place will truly amaze you with its wild beauty! 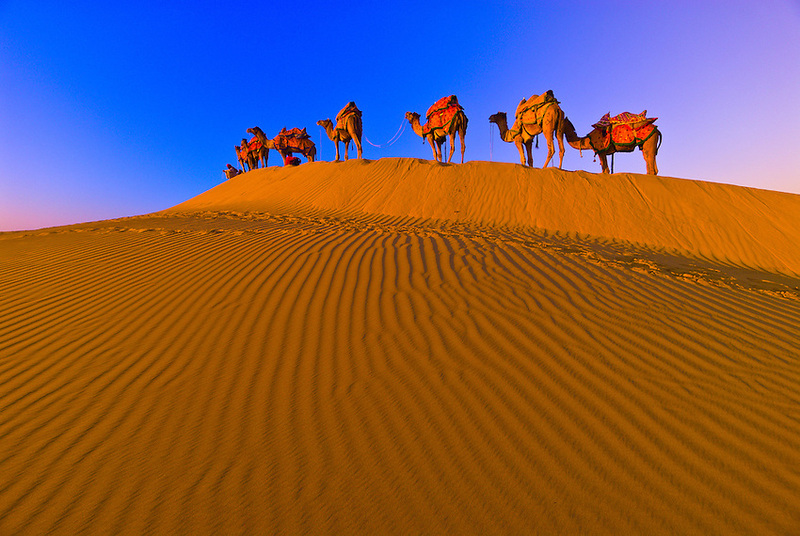 Jaisalmer: Ride on the royalty! If you are a girl gang who crave for fun and adventure in the arid deserts of Rajasthan, Jaisalmer proves to be an ultimate destination for you. The adventure junkie in you can opt for desert camping, Jeep safaris and wildlife spotting along with village tours in Jaisalmer. One of the most famous destinations in the entire country, Lonavala has its own appeal and charm. Very few tourist destinations in Maharashtra can match the beauty of Lonavala. Though it is best known for romance, for the adventurer in you and your all girl gang, it offers fascinating hot air balloon rides, trekking, waterfall rappelling and zip lining. And most importantly keep your pepper spray handy! Blow Your Mind Away With This Exceptional Video Of A 14,000 Mile Journey Through USA And Canada. 10 Most Amazing Train Experiences in India! How Many Have You Done So Far?